The All Progressive Congress (APC) Ward congress held across the Federation on Saturday 5th May, 2018. Line up are summarized detained report across the states of the federation. 1. Abia : APC congress extends to Sunday. Inconclusive. 2. Adamawa: Adamawa APC ward congress postponed to Sunday after protests and petitions from Nuhu Ribadu, Babachir Lawal, as their candidates were not given nomination forms. Inconclusive. 3. 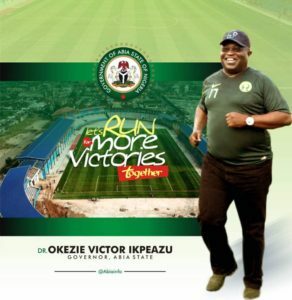 Akwa ibom: Peaceful to some extent, but reports added that it was a herculean task entering the party secretariat along Atiku Abubakar Way in Uyo as security operatives manhandled party supporters and brutalised journalists. 4. Anambra: The congress was peaceful, but there were disagreements in some quarters. 5. Bauchi: Members of the National Assembly representing the state led by Hon. Yakubu Dogara VS Governor Mohammed Abubakar. Dogara and others were sidelined. 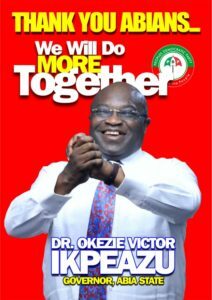 Controversies, imposition, fraud, violence thuggery and arson. Ningi local government APC Secretariat in Bauchi was burnt by the angry APC supporters. 6. 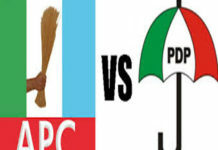 Bayelsa: The Ward Congresses of the All Progressives Congress (APC) in the 105 wards of the State were conducted peaceful and without violence. 7. Benue: The ward congress was devoid of rancour as all former ward leaders were affirmed to continue in office. 8. Borno: It was largely successful. 9. Cross River: No Congress. 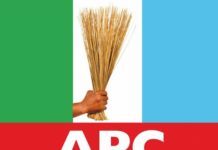 The All Progressives Congress (APC) ward congress in the eighteen local government areas of Cross River State failed to hold on Saturday due to the late arrival of materials. 10. Delta: Jeremiah Oghoveta, who had declared his interest to lead the party in Jeremi 3, Ughelli South ward 10. He was knifed to death allegedly by one Tete. 11. Ebonyi: Parallel congress in the state. Nwobasi VS Nwachukwu. Mr Nwaobasi’s faction held a parallel congress in various wards in the state. 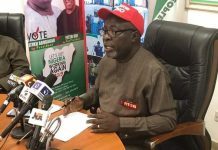 Mr Nwobasi however alleged that the seven-man committee from National APC led by Ajayi Nicholas, was hijacked by the group loyal to Mr Nwachukwu. 12. Enugu : Congress hitch-free in Enugu, as party faithful boo minister. 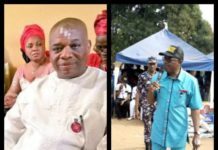 The ward congress in Enugu was adjudged hitch- free by chieftains of the party across the state, though there was a mild drama at the Eke country home of the Minister of Foreign Affairs, Dr Godfrey Onyeama, as party faithful booed him for allegedly attempting to impose a candidate on them during the ward congress. 13. Edo: Consensus excos emerged. Peaceful, but National Chairman of APC, John Odigie-Oyegun was absent at the exercise in his Oredo ward. 14. Ekiti: APC governorship primary was disrupted and inconclusive. 15. 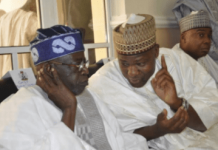 Gombe: The ward congress of the ruling All Progressives Congress, (APC) which is the opposition in Gombe state did not kick off early until about 3:00 pm due to an unresolved power struggle amongst the leaders of the party in the state who want to establish dominance over one another. 16. 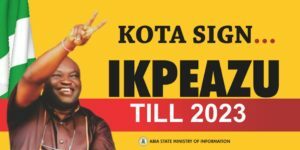 Imo : It was Governor Okorocha group vs APC National Organizing Secretary, Osita Izunaso. The ward congress in Imo State was marred by violence and other skirmishes. 17. Jigawa: It was peaceful and conclusive. 18. Kaduna: Parallel congress between the 3 Senators in the State, Sheu Sanni, and two others. The two groups wrote names of their excos. Shehu Sanni later told journalists that there was no Congress in Kaduna State. 19. Kano: It was parallel Congress between supporters of Senator Rabiu Kwankwaso and Governor Abdullahi Ganduje. Kwankwaso supporters boycotted the congress organised by Ganduje loyalists. 20. Katsina: It was peaceful and there was consensus on excos. 21. Kebbi: Ward congress elections were held in only three of the 21 local governments in Kebbi State. The Chairman of the All Progressive Congress, (APC) Electoral Committee on Wards and Local Government Congress in Kebbi State, Senator Alkali Lawal Jajere confirmed that the ward executives in wards in the other 18 LGAs were appointed by consensus. 22. Kogi: Parallel congress between a faction of the party loyal to the state governor, Alhaji Yahaya Bello, while the second faction led by the state chairman, Alhaji Haddy Ametuo, is loyal to the Audu/Faleke political group. It was peaceful as both groups claimed victory. 23. Kwara: The APC ward congress was conducted under a peaceful and orderly atmosphere across the 193 wards in Kwara State. A faction of the All Progressive Congress in Kwara took to the street to protest their alleged exclusion from the Congress. 24. Lagos : Tinubu boys VS APC legal Adviser, Muiz Banire and Minister for works, Fashola. One person killed. Hoodlums, wielding guns, knives, cutlasses and other dangerous weapons, soon hijacked the exercise and descended on delegates, many of whom were left injured. 25. Nasarawa: Most party executives were returned unopposed. Peaceful to a large extent. 26. 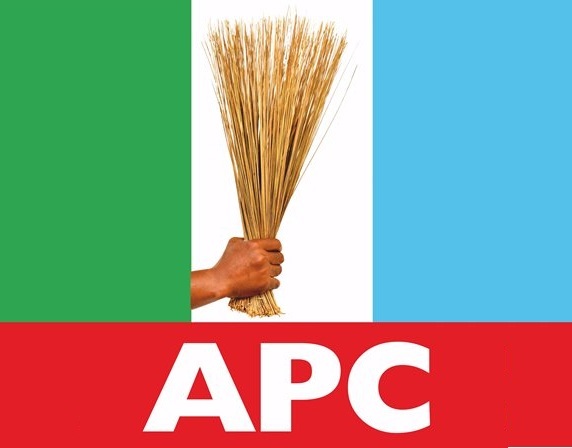 Niger: The Niger State chapter of the APC, on Saturday, returned all the executives of the party in the 274 wards of the state unopposed. 27. Ogun: It was peaceful in Ogun but Osoba group that parleyed with Governor Amosun a day to congress largely refused to participate in the congress across 236 wards. Supporters of Senator Adeola boycotted the congress, as Adeola himself didn’t participate in that of Lagos Congress. A chieftain in Yayi movement said it would have been bloody like other States, if Yayi supporters had participated in the congress organised by intolerant Governor who single-handedly hoarded nomination forms. 28. Ondo: The congress was marred by violence and other irregularities as many members of the party were allegedly prevented from participating in the exercise. Supporters of Olusegun Abraham, Boroffice and others were chased out by NURTW men. 29. Osun: It was rescheduled because of the Governorship primary in July. 30. Oyo: The congress turned bloody, and it was postponed to hold Sunday. The fight was between SENACO (Ajimobi) and those who believe in ideology of late Lam Adesina, they include Senator Monsura Sunmonu, Adebayo Shittu, Dapo Lam Adesina. 31. Plateau: Plateau APC ward congress elections were peaceful as the exercise was generally done on consensus basis where the party reaffirmed the incumbent ward executive committee to pilot the affairs of the party for another tenure. 32. Rivers: Between Abe and Amechi. 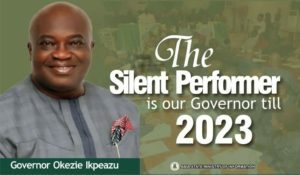 The exercise was inconclusive as supporters of the senator representing Rivers South – East senatorial district in the National Assembly, Magnus Abe, protested on major streets of Port Harcourt to condemn the exercise. 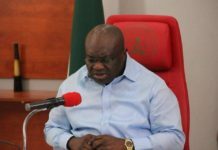 They marched through the Eastern Bypass axis of the Rivers State capital , chanting war songs , even as they claimed that ( they) Abe supporters were sidelined from the ward congresses in the state. 33. Sokoto: The All Progressives Congress (APC) ward congresses were conducted simultaneously and peacefully across 244 wards of Sokoto State by consensus. Governor Tambuwwal confirmed the unity of APC members. 34. Taraba: Stakeholders of the APC in Taraba State hailed the conduct of the congresses. The Minister of Women and Social Development, Senator Aisha Alhassan, said the distribution of election materials to various wards was timely well conducted and in accordance with the guidelines of the party. 35. Yobe: The party conducted ward congress through affirmation across 178 wards of the 17 local government areas of the state. 36. Zamfara: Travellers were, on Saturday, denied passage through Zamfara by armed security personnel following the conduct of the APC ward congress in the state. The congress was successful and peaceful.